Joe Perry is back in the saddle again — or at least he will be on Friday. The Aerosmith guitarist, who collapsed onstage during a concert by his side project the Hollywood Vampires last week, will return to play with the group on Friday, his bandmate Alice Cooper tweeted on Thursday. Perry will remain with the group, which also includes Johnny Depp, for the remainder of the tour, Cooper added. “Joe is back! @JoePerry returns to the @hollywoodvamps tour tomorrow, 7/22 & will be with us thru the end!” Cooper wrote. The band is scheduled to play Weill Hall in Rohnert Park, California, on Friday. The tour wraps July 25 in Paso Robles, California. 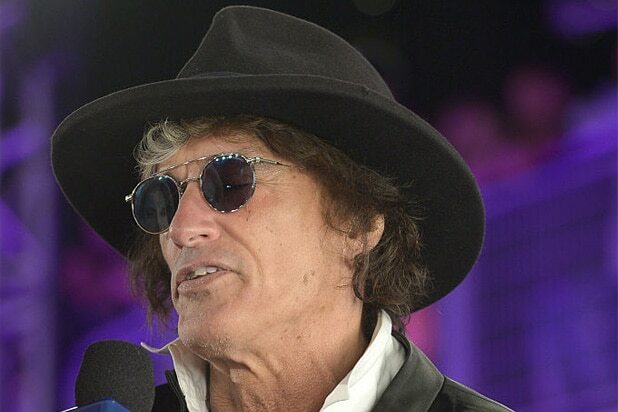 Perry, 65, collapsed during a concert at Coney Island Amphitheater on July 10 and was rushed to a New York hospital. Perry collapsed after walking offstage during the group’s performance. The following day, Perry’s official Twitter account reported that he was in stable condition and surrounded by family.